Its not easy to become a J & L Kayak Guide! Our guides go through a very intense training program that is backed by a lifetime of kayaking experience and over 10 years of local kayaking experience. 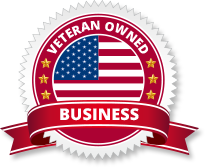 They are put through many trails specifically designed to test them physically and mentally. It is our job to be prepared and ready for anything and keep a fun, safe, and engaging adventure from start to finish. Our guides a very knowledgeable of our coastal waters and the indigenous wildlife that calls it home. We are a collective crew of corky, goofy, nerdy, personalities and we each have a great trait to bring to each tour to keep it fun, exciting, and memorable! 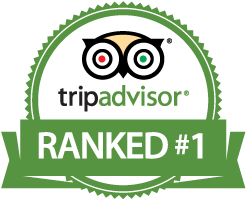 Experienced, Professional, Knowledgeable, & Lots Of Fun! Quote: "I swear, I know things..." Rin brings a wealth of knowledge and character to the family. With a lot of determination and hard work Rin received her degree in Marine Science in the spring of 2017 from Coastal Carolina University. Originally from Kentucky, Rin developed a love for the outdoors early on. When asked what she likes to do, the quick answer would be:	"explore the outdoors". She has a passion for the water and enjoys cutting loose on her guided tours. Rin is a welcoming pleasure to meet and is always ready to share her knowledge base of the local marine life found in our micro ecosystems. She has a inviting personality and she describes herself to be "delightfully awkward". She is looking forward to further pursuing her education and obtaining a career in fishery management or teaching in a related field. Meet Kat! Her confidence, and excitement for each new day is inspiring. She has traveled quite a bit finding balance between school and her interest. Neat fact about Kat is that she lived in a South American rainforest for a month while studying. 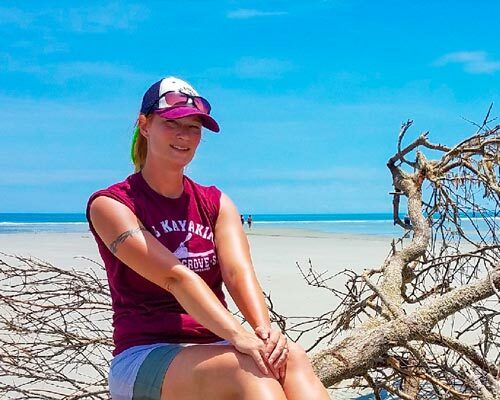 A graduate of Biology from Coastal Carolina, her passion is sustainability and conservation of our natural ecosystems. She has studied abroad and developed a bit of an addiction to it, having visited 4 different countries over the last two years. In between everyting else she has also aqcuired her life guard cetification. She is a crack up and a perfect candidate to throw corny jokes at. She is known to laugh at everything. She is loved by her guest on tours and if you get her on the river she just might catch a snake to give you a closer look! She doesn't mind getting her feet dirty and hates shoes. 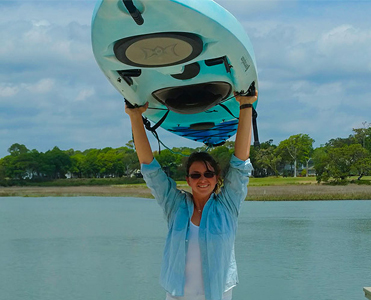 Her favorite thing at J & L "behind the scenes" is to show the guys up when it comes to lifting those kayaks! Laurie is the most important ingredient of J & L Kayaking. Even though she doesn't guide kayak tours often, she is at the start and the end of each day. She is the one that controls all the strings making sure that each kayak tour is done to the best that it can be. Laurie is the direct line of communication for you all the way till you meet your tour guide. When you call J & L you won't get a booking service you will get Laurie and her undivided attention to your questions or needs. She is behind each tour we do and is there making sure everything goes smooth. Her warm southern hospitality will make you feel right at home. Her expertise is in talking to our guest and helping them choose just the right tour. Her local kayaking experience gives her a steep advantage to the "other guys". Her first hand kayaking experience goes along way in helping each guest to pick the right tour. She is a one of a kind in customer service and is commtied to you as our guest. Justin is an avid birder in his off time and loves to take his camera out with him to get some great photos! In fact pretty much every picture on this website was taken by him! Justin owns J & L with his wife and he enjoys being on the water more than anything. Some woudl say; he can swim better than he can walk. When he is your guide there is no need for maps, or identification charts. He has been leading tours in this area since 2009 and has grown a real passion for our coastal waters and the conservation of them. He also developed a bit of a "geek" side when it comes to his birds. Not only can he indentify the birds to you when he sees them, he can identify quite a large selection just by hearing them or seeing the way their wings flap from a distance. He knows quite a few interesting facts about many of our coastal birds that he has learned along the way. 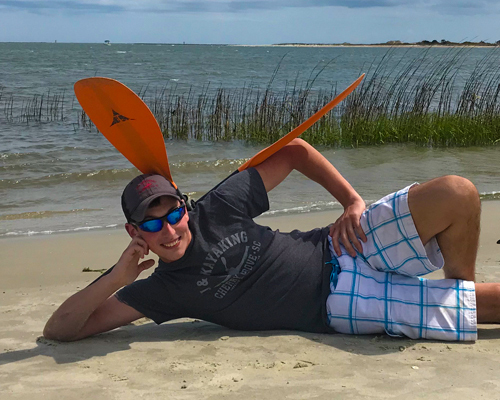 Aside from his geeky side, Justin is a very laughable fun guide to have with you on tour and has an expert knowledge of kayaking techniques and paddleboarding techniques and kayak safety. Henry is a very active explorer taking the opportunity to jump on an adventure anytime he gets a chance. 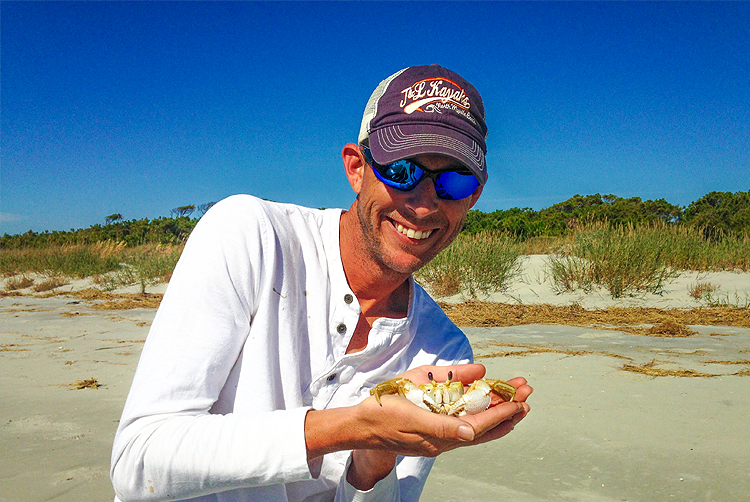 He graduated from our local university, Coastal Carolina, last fall with a degree in Biology- ecological conservation. Originally from New York he fled the north to pursue his education here. We are glad he did! He is a great addition to our family can be a bit of a goofball. 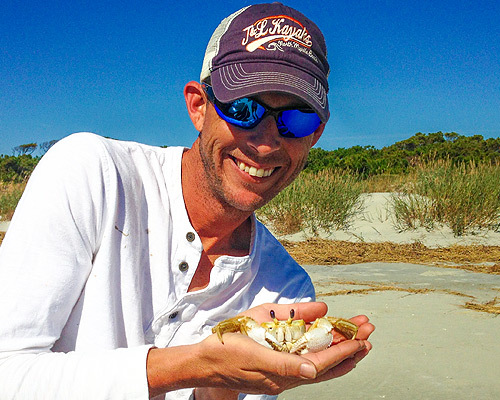 He has a strong passion for the water and better yet the conservation of our local estuaries. If he isn't on the water he is probably on the trails for an overnight backpacking trip, and we should watchout because he just might develop his own camping meals! He also loves to cook. Perhaps well see him on Master Chef one day. He has our support! One last thing about Henry, feel free to say hi to him in English, Spanish, French, Japanese, or Swedish! Thats right! He is more than just bi-lingual. He can speak 5 different languages; however, go easy with him in Swedish- he is still learning that one! And then there is Mario...! 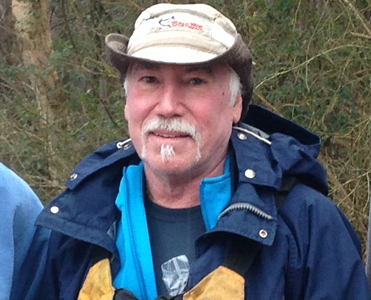 Mario is a highly experienced kayaker and loves taking people down the Waccamaw River. He shares Laurie and I's love for the outdoors. He is an Appalachian Trail blazer having completed all 2,189 miles of the trail once and his half way through his second go-round! 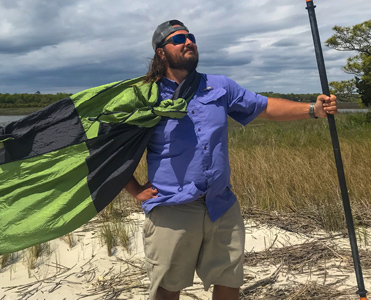 On the water, he has paddle the entire distance of the Waccamaw river from its source at Lake Waccamaw all the way down to Georgetown. He jumps at the opportunity for overnight kayak camping trip and always is the best prepared kayaker on the trip. He is an energetic companion and always eager to offer great tips and advice on tours. Mario is an expert river rat and is full of great information about the Waccamaw River. Mario is an outdoors enthusiast all the way! Bitten by a radioactive kayak in the summer of 2014, Nick has been on the water ever since! 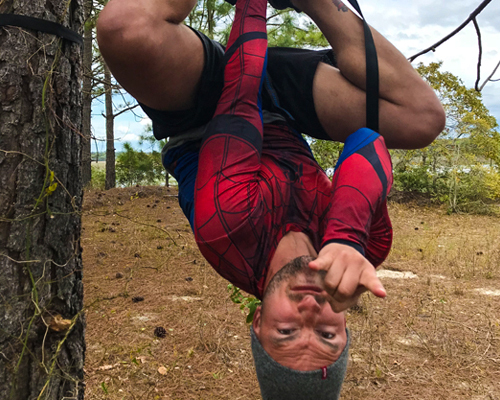 Armed with a keen sense of adventure and a healthy dose of humor, Nick's mantra has always been "With great fun, comes great responsibility!". Safety first, awesomeness a close second, Nick is commited to providing a positive kayaking experience for novices and seasoned veterans alike. A transplant from Ohio, Nick is and avid, tree hugging outdoorsman who loves learning about the local history and wildlife in the area, and passing it on to you! 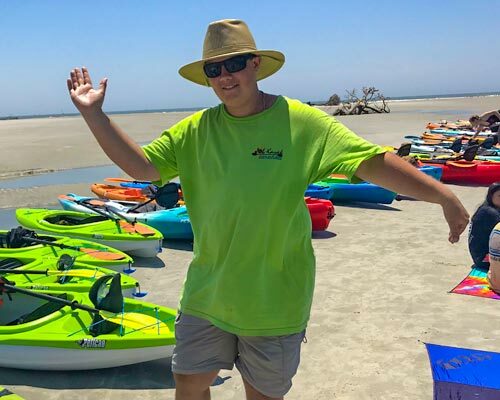 Join Nick for your next eco-adventure with J & L Kayaking, claim your place among those who braved the yak, and reap all the rewards these beautiful areas have to offer! 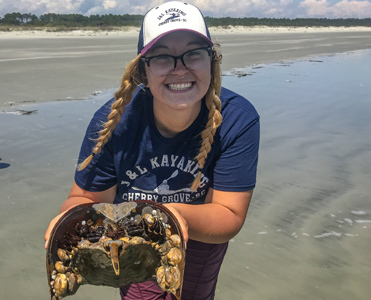 "With great fun, comes great responsibility..."
Emily graduated from Coastal Carolina University in 2017, receiving two bachelor's degrees, one for Marine Science and one for Biology. She focused on marine mammal biology but is passionate of all the sea dwelling creatures! Originally from Detroit, MI she was surrounded by the city but refused to be consumed by it. Her passion for being outdoors and learning how all the pieces of life fit together in one huge harmonious symphony is a desire that is unwaivering. Emily is in the preperation phase to pursue her Master's Degree in conservation and can't wait to accept the new challenges of life. She always bring her very best with her in everything she does and has an unbreakable ambition to explore, discover, learn, and educate. "I Rescue Waties Island Cast-a-Ways..."
This is "horse girl" Chloe. 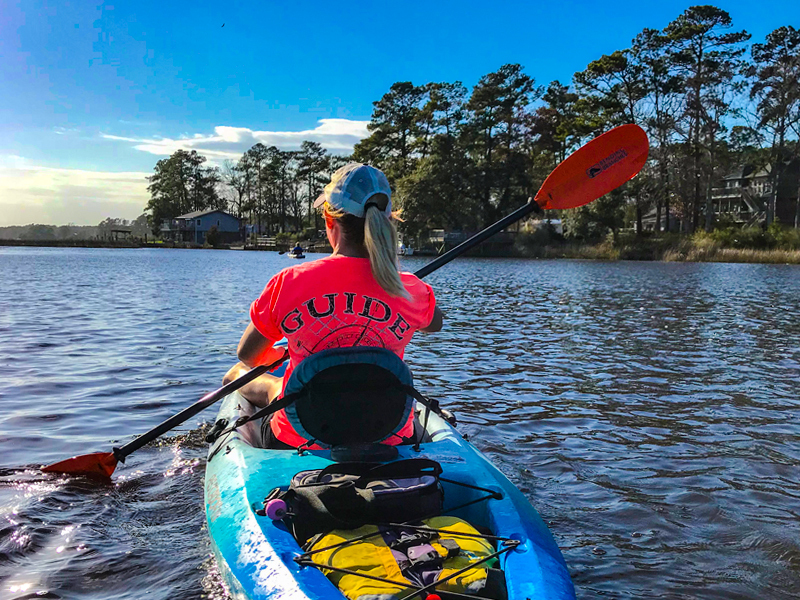 When she is not in the saddle she is on a kayak exploring local areas of the Waccamaw River and the coastal wetlands of South Carolina. As a guide, she loves meeting new people and listening to their stories. While she enjoys sharing our natural world with others she loves learning from her guest as much as teaching them about our area. She is a laid back charismatic guide and is an all around joy to be around. She is a needle in a haystack as a born native to Conway, SC. 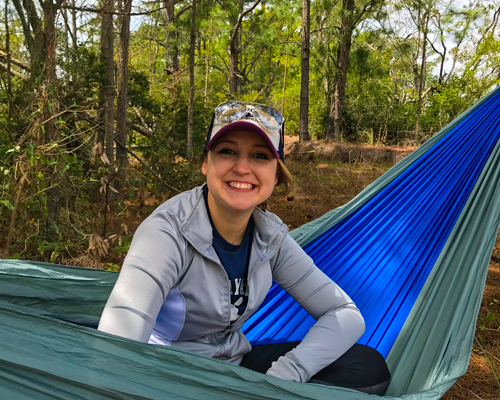 An alumni of Coast Carolina University with a bachelor's in Biology, she is a driven spirit continuing her education further at Francis Marion University as a Physician's Assistant. Holly wears quite a few different hats in our local area! Holly spends her time providing assistance and being a voice for our local animals wild or domestic. She serves as one of the elite animal control officers attached to the North Myrtle Beach Public Safety and Law Enforcement. 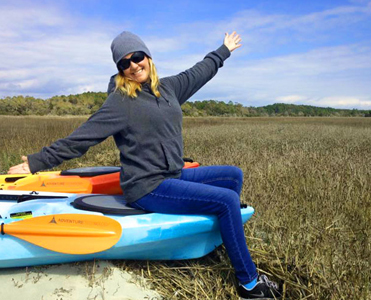 In between her service to North Myrtle Beach she joins J & L Kayaking as one of our hand selected guides to tour the salt marsh with our guest and explore the natural side of North Myrtle Beach. 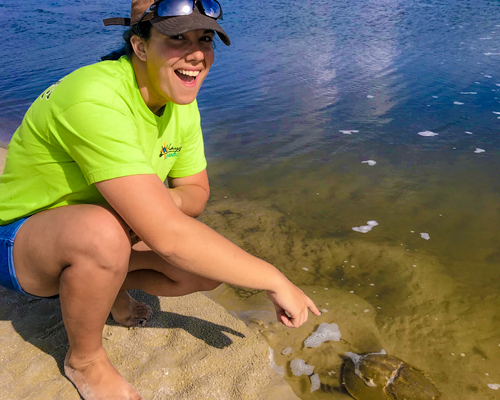 Holly is a dedicated volunteer to the North Myrtle Beach Sea Turtle Patrol as well! She is a woman of many many hats! We call her Holly-Bot as her ability to transform from one profession to the other is mind boggling. It is clear that Holly has a huge passion for our animals and is very active in going above and beyond her call of duty to make our area a better place for all the animals in our area domestic or wild! We love Holly and her huge heart and are certain her guest feel the same way! Check out our special page for specials and discounts on tours! 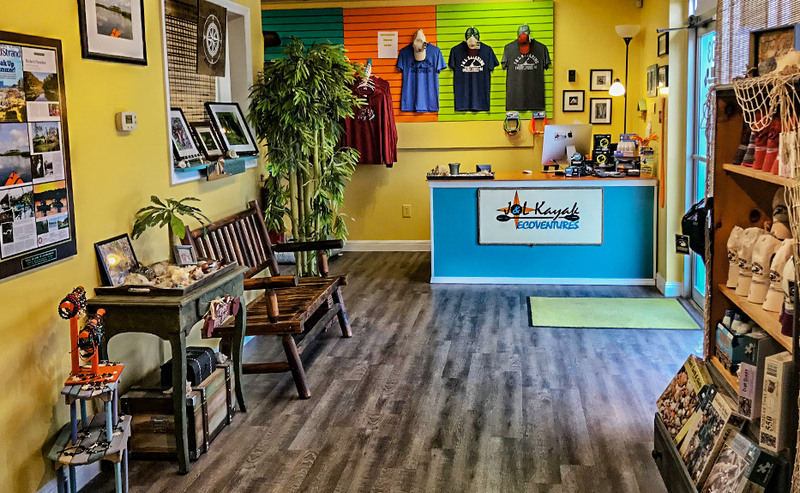 We offer great specials throughout the year to help you save money on your kayak adventure! Checkout our Tandemania Island Adventure! Offered on Saturday's only, this is our "matinee" tour that offers all the same great features as our traditional Island tour. All guest riding in tandem are only $30/person. Looking for something in the middle of the week? We offer a great savings for groups of 4 or more on many of our great kayak adventures.